Kelvin is the co-author of The FAQ Book on Public Speaking. He started his life on stage at a young age of 5 at the encouragement of his mother. His early involvement in numerous school skits and plays allowed him to chalk up experiences and build comfort in front of a live audience. By the time he was 16, he was giving motivation speeches to fellow students in school. In junior college, Kelvin was an active member in the Debate Team. In 1993, Kelvin joined the National Speakers’ Association in Melbourne, Australia. Two years later, he became part of Toastmasters International, where his hard work started to pay off, and his talents started to shine. In 1996, Kelvin was part of the Executive Committee that brought Braddell Heights to 5th in the world (Category D; 40 members & above), thus receiving the Presidents’ Distinguished Club Award. He was also âClub Speech Contest Champion’ that year. In 1998, he started Braddell Heights II Club that became 2nd in the world (Category A) in its 1st year, again receiving the Presidents’ Distinguished Club Award. He also snagged âClub Speech Contest Champion’, âArea Humor Speech Contest Champion’, âArea Humor Speech Contest 1st runner up’ and made it as a finalist to the National Humor Speech Contest. Kelvin brought his speaking skills and gifts to the next level in 1999 when he became the Club Mentor for Life Underwriters’ Association Toastmasters Club, leading it to become the 2nd in the world (Category A) in its 1st year – obtaining yet again the Presidents’ Distinguished Club Award. He was later invited to be the Division Speech Contest judge. As a committed coach and mentor, he produced Singapore’s âRegional (South East Asia) Humor Speech Champion’ that same year. 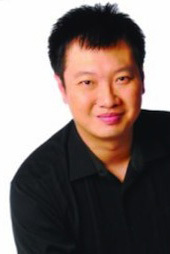 In 2000, Kelvin created and developed Executive Coach International Pte Ltd. It has since become one of the largest coaching organizations in the region, with 13 Internationally Qualified Coaches, recognized by the International Coach Federation based in the USA. In 2004, Kelvin received his Master Certified Coach (MCC) qualification, making him the first and only MCC in Singapore and S.E.A, and one of four in Asia. His crisp, direct and flexible style has earned him the respect of people from all walks of life, and his ability to deliver radical ideas has led him to become one of Singapore’s most influential coaches, inspiring and touching more than 5000 people.